WELDON, N.C. – Halifax Community College (HCC) has partnered with several local organizations to host the Fourth Annual Sustainability Summit. The free event will take place on Wednesday, October 26, beginning at 8 am. 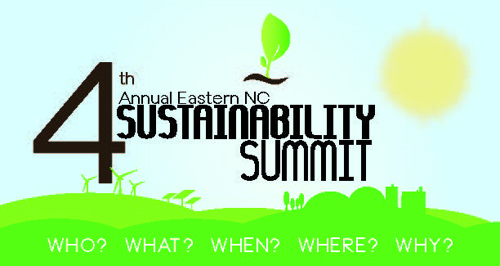 The Sustainability Summit is designed for students, citizens, and community leaders to discuss the benefits, and necessity, of sustainable energy in North Carolina. The summit will boast notable speakers on the topics of renewable energy, alternative vehicle fuels, local farming and agricultural economy and much more. "I believe the summit is a very important opportunity for students, area officials, businesses and our residents to learn about the opportunities in the areas of clean energy, local food, water and more," said Dr. Ervin V. Griffin, Sr., president of Halifax Community College. "From jobs to the environment to social equity, sustainability is about creating win-win-win situations that move our area forward." To register for the summit, please visit http://4thencss.eventbrite.com. For more information, please contact Ron Townley, Planning and Development Director of the Upper Coastal Plain Council of Governments, at (252) 234-5965 or rtownley@ucpcog.org.